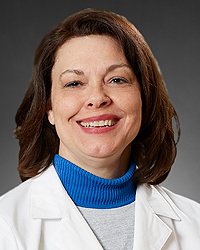 Janny Kehr, APRN-CNP is an experienced certified nurse practitioner who specializes in Family Practice. She is from Southwest Ohio and has practiced in the greater Dayton area since 2014. She welcomes new patients of all ages. Janny is dedicated to providing every patient individualized diagnosis, treatment, and medical care. She believes in educating her patients on their medications and health and treating each of her patients as if they were her own family. Janny welcomes new patients of all ages.